The Triby portable speaker is the first non-Amazon device with Alexa onboard. Amazon’s Alexa virtual assistant is spreading to third-party hardware with the Triby connected speaker. The $199 Triby from Invoxia is in some ways similar to Amazon’s Echo speaker. 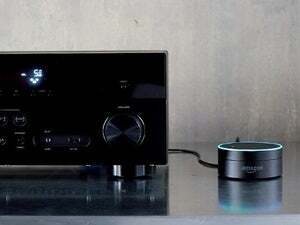 Using Alexa voice commands, it connects to Internet radio services such as Pandora and Spotify, delivers the weather and other information, lets you buy stuff from Amazon, and can control a range of connected-home devices. And like the Echo, the Triby supports always-on voice commands, so you can control these functions from across the room. But while Echo requires a power cord to operate, Triby has a built-in battery that lasts up to two weeks on a charge, and provides eight to 10 hours of music playback. (Battery life is lower with always-listening mode enabled, SlashGear notes.) 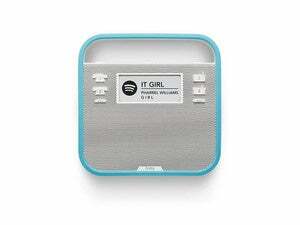 And while Amazon has built a separate battery-powered Alexa speaker called the Amazon Tap, it doesn’t offer always-listening mode even as an option. 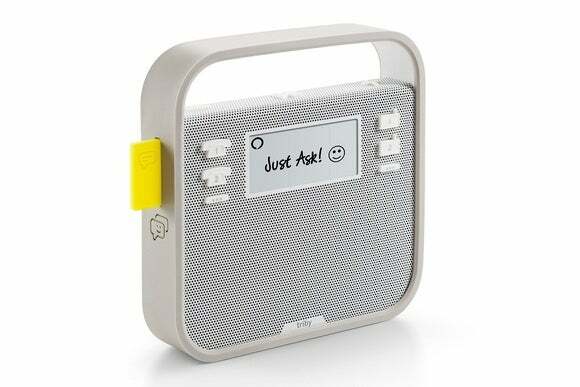 Triby also has an e-ink display for showing messages and music track info, and a set of physical buttons for quickly playing songs or making calls—either via Triby’s VoIP service or via a Bluetooth-connected phone. The device is really meant for the kitchen, with a magnetized back that can stick to the fridge. There’s even a little yellow mailbox flag that pops out to alert the family when messages arrive. The Triby is available now through the Invoxia website and through Amazon, which is currently selling it at a $30 discount. Why this matters: Alexa’s arrival on third-party hardware has been a long time coming. Amazon first announced its plans last June, and set up a $100 million fund to bring Alexa-powered devices to market. Beyond just connected speakers, Alexa is also headed to pet feeders, smart sprinkler systems, alarm clocks, garage-door openers, toys, and connected cars. It’s all part of Amazon’s master plan to provide the artificial intelligence for your home, and ensure that its retail engine keeps churning.